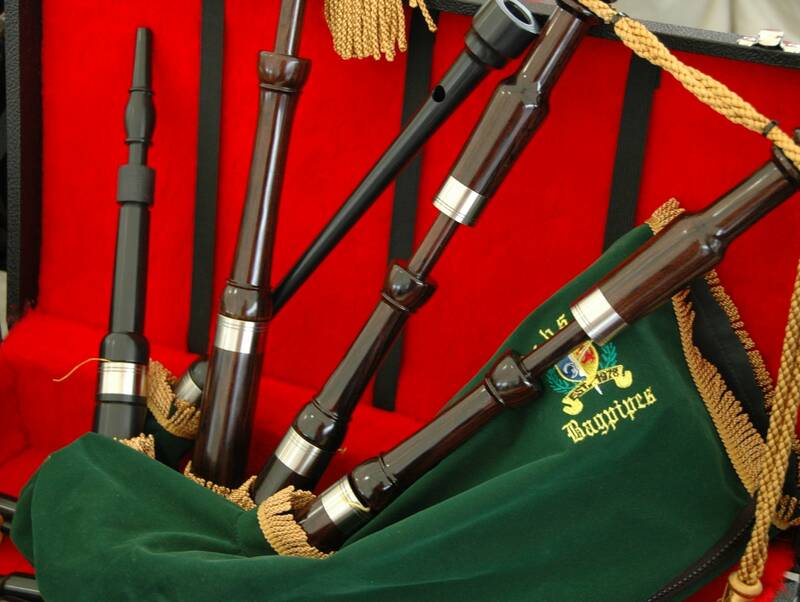 A British man has died of what's being called "bagpipe lung": "a bad reaction to mould and fungi lurking inside the moist interior of his bagpipes," as the BBC puts it. The moral of the story: pipers, keep your pouches clean. The first round of 2016 Gramophone Classical Music Award winners have been announced. Among the recognized recordings: the Boston Symphony Orchestra's Shostakovich 10 for Best Orchestral Disc, Igor Levit's Goldbergs for Best Instrumental, and a Cologne ensemble's Gurrelieder for Best Choral. The big awards — Recording of the Year, Artist of the Year, Young Artist of the Year, Lifetime Achievement and Label of the Year — will be announced on Sept. 15 at a ceremony in London. On Aug. 20 at Tanglewood, the Boston Symphony Orchestra performed Aida in a configuration that — including the volunteer chorus — includes no fewer than 17 married couples. The orchestra says it's the most married couples that have ever performed together in its 134-year history. British oboist Neil Black, who possibly appears on more major-label recordings than any other oboist, has died at age 84. "He was a quiet authority at the heart of London's orchestras," writes Norman Lebrecht. Romanian composer Adrian Enescu has died at age 68. A pioneer of electronic music in the 1970s and '80s, Enescu wrote scores for dozens of films. As Yannick Nézet-Séguin prepares to take over at the Metropolitan Opera, his successor as chief conductor of the Rotterdam Philharmonic has been named. At just 27, Lahav Shani will be the youngest leader in the orchestra's century-long history. The signature "Sputnik" chandeliers, which ascend to the ceiling at the beginning of each performance at the Met, are returning to action after a year spent being stationary due to a mechanical glitch. When the Met's 50th anniversary season opens on Sept. 26 with Tristan and Isolde, the Sputniks will rise again. Montreal's L'Orchestre de Jeux Video, one of the world's few orchestras dedicated specifically to video game music, is set to play the biggest gig in its eight-year history. In February, the orchestra will present a sort of greatest-hits program at Maison symphonique, the city's top orchestral concert venue with a capacity of over 2,000. What happened to Steinway's CEO? Music insiders are wondering whether it's a coincidence that Steinway CEO Michael Sweeney, a former Starbucks exec, has mysteriously left his job shortly after the company's owner John Paulson joined the advisory team of Republican presidential nominee Donald Trump. Traditionalists in the Hub are smarting from the fact that the 1812 Overture has been relegated to pre-show status at Boston's annual Independence Day fireworks. Longtime leader Arthur Fiedler famously led the Boston Pops in loud and proud performances (accompanied, natch, by church bells and cannon fire) as the fireworks popped; now, with the show broadcast on CBS, the fireworks are accompanied by Top 40 hits and Tchaikovsky is played during a commercial break.